Nobility is a social class normally ranked immediately under royalty in some societies that have a formal aristocracy. Nobility possesses more acknowledged privileges and higher social status than most other classes in society. 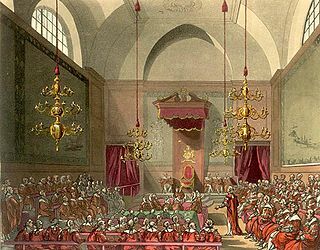 The privileges associated with nobility may constitute substantial advantages over or relative to non-nobles, or may be largely honorary, and vary by country and era. As referred to in the Medieval chivalric motto "noblesse oblige", nobles can also carry a lifelong duty to uphold various social responsibilities, such as honorable behavior, customary service, or leadership positions. Membership in the nobility, including rights and responsibilities, is typically hereditary. Ms or Ms. is an English honorific used with the last name or full name of a woman, intended as a default form of address for women regardless of marital status. Like Miss and Mrs., the term Ms. has its origins in the female English title once used for all women, Mistress. It has its origin in the 17th century and was revived into mainstream usage in the 20th century. In the UK and the majority of Commonwealth countries, a full stop (period) is usually not used with the title; in the United States and Canada a period is usually used. Uncle is a male family relationship or kinship within an extended or immediate family. An uncle is the brother, half-brother, or brother-in-law of one's parent. The specific terms for the last two respectively are half-uncle and uncle-in-law which can refer also to the husband of one's aunt. A biological uncle is a second degree male relative and shares 25% genetic overlap. However people who are not a biological uncle are sometimes affectionately called as an uncle as a title of admiration and respect. Prince/Princess – From the Latin princeps , meaning "first person" or "first citizen." The title was originally used by Augustus at the establishment of the Roman Empire to avoid the political risk of assuming the title Rex ("King") in what was technically still a republic. In modern times, the title is often given to the sons and daughters of ruling monarchs. Also a title of certain ruling monarchs under the Holy Roman Empire and its subsidiary territories until 1918 (still survives in Liechtenstein, and also in Monaco although that is elsewhere), and in Imperial Russia before 1917. The German title is Fürst ("first"), a translation of the Latin term; [upper-alpha 1] the equivalent Russian term is князь (knyaz). Archduke/Archduchess – A title derived from the Greek Archon ("ruler; higher") and the Latin Dux ("leader"). It was used most notably by the Habsburg Dynasty that ruled Austria and Hungary until 1918. Duke/Duchess - From the Latin Dux , a military title used in the Roman Empire, especially in its early Byzantine period when it designated the military commander for a specific zone. Viscount/Viscountess - From the Latin vicarius (Deputy; substitute. Hence "vicar" and prefix "vice-") appended to Latin comes . Literally: "Deputy Count". Emperor/Empress – From the Latin Imperator , meaning he/she who holds the authority to command (imperium). Caesar : the name of Julius Caesar taken by his heir Augustus and thereafter by Augustus' successors as Roman Emperor through the fall of Constantinople in 1453. Germanic loan-word for Caesar is Kaiser. Dom – (from Latin : Dominus, "Lord") Used for Benedictine monks in solemn religious vows, but reserved for abbots among the Trappists. In Brazil, it is used for bishops. In North America, several jurisdictions restrict the use of some professional titles to those individuals holding a valid and recognised license to practice. Individuals not authorised to use these reserved titles may be fined or jailed. Protected titles are often reserved to those professions that require a bachelor's degree  or higher and a state, provincial, or national license. “Bey” is a Turkish title for chieftain, traditionally applied to the leaders or rulers of various sized areas in the Ottoman Empire. The feminine equivalent title was Begum. The regions or provinces where "beys" ruled or which they administered were called beylik, roughly meaning "khanate", "emirate" or "principality" in the first case and "province" or "governorate" in the second. The Byzantine Empire had a complex system of aristocracy and bureaucracy, which was inherited from the Roman Empire. At the apex of the hierarchy stood the emperor, yet "Byzantium was a republican absolute monarchy and not primarily a monarchy by divine right". Beneath the emperor, a multitude of officials and court functionaries operated the complex administrative machinery that was necessary to run the empire. In addition to those officials, a large number of honorific titles existed, which the emperor awarded to his subjects or to friendly foreign rulers. Malik, Melik, Malka, Malek, Malick, or Melekh is the Semitic term translating to "king", recorded in East Semitic and later Northwest Semitic and Arabic. 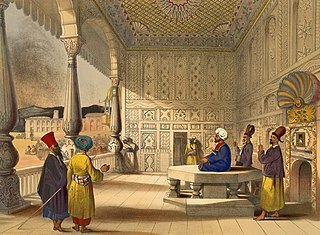 Mir is a rare ruler's title in princely states and an aristocratic title generally used to refer to a person who is a descendant of a commander in medieval Muslim tradition. Commander, or Knight Commander, is a title of honor prevalent in chivalric order and fraternal orders. ↑ Prince of Wales is a title granted, following an investiture, to the eldest son of the Sovereign of the United Kingdom – he is not a monarch in his own right. ↑ "'IOM Nursing Educational Recommendations 2010'". Archived from the original on 2011-08-09. ↑ "'ieee usa policy Engineer title'" (PDF). Archived from the original (PDF) on 2016-10-09. ↑ "'Nurse Title Protection Language by State'".